Venus is our Specialist glass range of doors with Stripped & Squares designed glass panels. The stripped & square glasses are available in lacquered colours pure white, dakar, stone grey, cappuccino & cashmere. 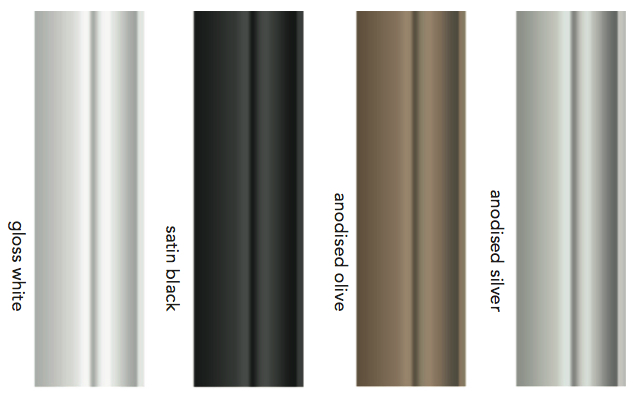 (as below) These can be mixed with solid lacquered colours or mirror glass. The Lined & Square glasses are locobel colours with the lines and squares in mirror; e.g. cashmere with mirror lines, cappuccino with mirror squares. The coloured panels between the mirror lines are approx 380mm. A standard ceiling of 2440mm will have 5 mirror lines. The mirror squares are 200mm x 200mm. A standard ceiling of 2440mm will have 4 mirror squares. Maximum door width for Louvre & Square glasses is 915mm. 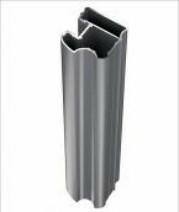 This is used for sliding room dividers & single sliding doors. When fitted the floor matwerial butts up to the raised single semi-circular section of the runner.